ELK HEADS AS SMOKING GUN. "Purchasing elk heads" is the remarkable heading atop a key passage in prosecutors&apos; "Statement of the Offense" against Jesse Jackson Jr., who faces jail after pleading guilty to conspiring with his wife to fund a lavish lifestyle with campaign money. 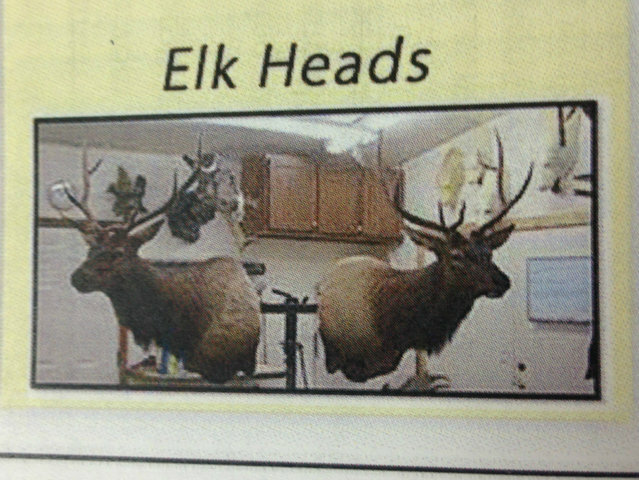 * Although Jackson allegedly spent more than $7,000 for two elk heads, a taxidermist tells the Tribune: "$1,800 is about the most you should be spending for an elk head" -- something to remember if you decide to bid on the ill-gotten gains at auction. &apos;A GUN FIRED WITHIN ... A CROWDED BUS ... WOULD BE CATASTROPHIC.&apos; Dozens of transit agencies across Illinois are asking the General Assembly, which is considering rules for carrying concealed weapons, to forbid them on buses and trains. * Illinois State Rifle Association executive director: "If people were allowed to carry guns in the CTA, there will be fewer robberies." * Commentary in The Stranger: "How about you should not have people carrying guns on public transportation because public transportation is crowded and rage-inducing?" * Yet, trains are where one study finds Craigslist looking-for-love "missed connections" happen most in Illinois. * CTA rapid-transit plan could shave 9 minutes off downtown bus trips. * Metra: Sorry about all those delayed trains. MOSTLY FALSE. That&apos;s PolitiFact&apos;s Truth-O-Meter reading on NRA frontman Wayne LaPierre&apos;s assertion that President Obama "flagrantly defies the 2006 federal law ordering the construction of a secure border fence along the entire Mexican border." * False rating for LaPierre&apos;s statement that Phoenix is "one of the kidnapping capitals of the world." * Mother Jones: Obama&apos;s immigration plan harsher than Reagan&apos;s.
* Guess how many days since the U.S. Senate last passed a major new law? 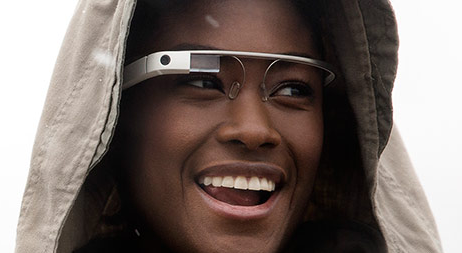 WANT GOOGLE GLASSES? Google&apos;s accepting applications from people who want to test its interactive eyewear. All it takes is a 50-word tweet or Google+ post -- and a commitment to pay $1,500. * Google reported in talks with trendy eyeglass maker Warby Parker. ESCAPED FROM PEPPERIDGE FARM? Giant goldfish -- almost 1.5 feet long -- have been found in the waters of Lake Tahoe. * Chicago area getting "Biggest Loser" resort. * L.A. hotel&apos;s water contaminated by decomposing body for more than two weeks. ON BEYOND THE INTERROBANG. 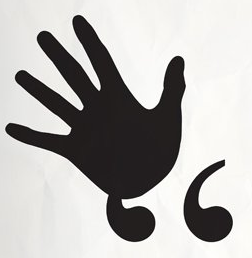 CollegeHumor.com proposes the "andorpersand," "mockwotation marks," "sarcastises," and other new punctuation marks that could make the world a better place. * New news quiz tomorrow. Haven&apos;t taken last week&apos;s yet? Here you go.